Arjun cries sitting next to sleeping Maya and reminisces doctor telling he could not save child. He reminisces Maya’s goad bharai ritual and runs from room crying. He says all his dreams have shattered. Saanjh tries to console him. He continues that his and Maya’s love had finished long ago, he was suffering just for bandar thinking if he goes away from Maya, even his bandar will go away. Saanjh says nothing has ended, all his happiness will be back. He shouts what did bandar do, god would have took him up instead. Maya comes and asks where are their bandar. Arjun says their bandar is gone. Maya asks where did he go, panics and asks nurses and everyone present where is his bandar. She rushes to nursery and sees a baby and lifts it saying it is her child. She pampers it. Arjun enterswith Saanjh. Doc enters next with baby’s mother and asks Maya to give their child. Maya says it is her child, she will call security. Doc says he will call security. Arjun says their bandar is gone. He takes baby and tries to kiss it. Baby’s mother takes baby away. Maya cries where are they taking our bandar. Arjun says our bandar is dead. Maya panics more and sees her flat tummy, cries where is her child. Arjun says again bandar is gone. Maya expression changes to schizophrenic looking at Vadana and reminiscing falling down from stairs trying to stop Vandana. She holds Vandana’s neck and strangulates her, shouting she killed her child. Arjun and Saanjh pull her away. Vandana says she did not do anything, instead Maya tried to kill Ayan and god punished her. Arjun asks why is he punished, for loving her or Maya, his bandar died because of Vandana. Saanjh asks what is he saying. Arjun continues Vandana killed his bandar, take her away. He walks with Maya. Saanjh tries to console Vandana and asks not to feel bad for Arjun’s words. Vandana why should not she, Arjun alleged her of killing his son. Saanjh says Maya’s mistakes took her son away. Maya shouts at Arjun how can he support her bandar’s murderer. Vandana says Maya is murderer and tried to kill Ayan. 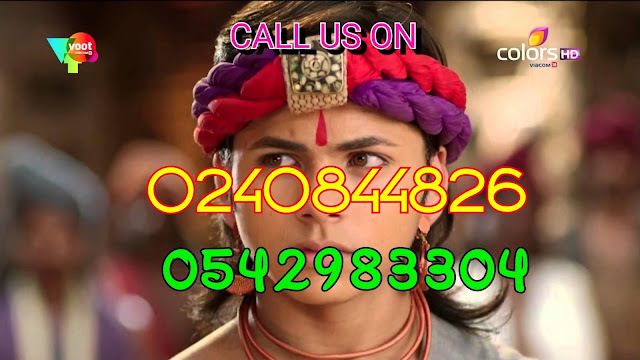 Arjun asks them both to stop, asks Vandana if she wants even him to become mad, she killed his bandar and kill even him. Vandana stands shocked. Maya says send Vandana to jail. Arjun asks if he should send her to jail. Arjun confronts Maya that she tried to suicide many times, but did not die as she never wanted to die. She just wanted to feel her husband guilty, sorry her dog. He says Maya’s dog and Vandana’s culprit. She cursed him and he lost his Bandar, she should get Mother India trophy. Bandar went and even Ayan went, Saanjh will also go and he will be alone. Saanjh tries to calm him. He blames her next and says his Bandar died because of her, if she had not called maa and informed about Ayan, Bandar would not have died. Why Saanjh did not die, maa did not die, Maya did not die. Maya says their relationship. Arjun pins her to wall and says it was mutual agreement and their relationship broke when she told about Samay, he was tolerating her for Bandar, let her and her relationship go to hell, he doesnot care. He pushes her and walks. She holds him and pleads not to go. He says her dog is going now and does not have strength to wiggle his tail, she can do whatever she wants, he is going. He walks away. 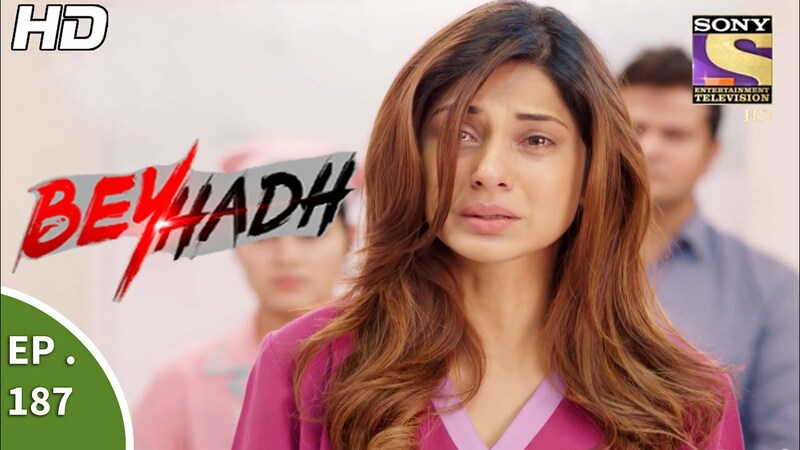 Vandana scolds Maya that her beyhadh love ruined her son, he left her and everyone. Saanjh stops her and says let us go home. Vandana says she will stay with Ayan. Saanjh says no, let us go home and drags her. Maya’s shows her schizophrenic expression. Vandana reaches home with Saanjh and reminsices Arjun’s word, she cries. Saanjh says Arjun has shattered, his heart broke into many pieces and it will take time for him to collect him, her duffer will collect them for sure, she needs to give him some time. Arjun gets heavily inebriate in a bar and reminisces all the recent incidents and breaks glass. Maya on the other side goes to baby’s room and reminisces Arjun’s words about Bandar and his love for Bandar. She then reminisces him breaking relationship and says Bandar is finished and even their relationship is finished, go to hell. She this her stomach and shouts why did he/she die, who will keep her and Arjun united. Jahnvi comes on wheelchair. Maya leans on her lap and cries that why did Bandar go away, who will reunite her with Arjun, she did whatever Arjun told till now and he told she should do whatever keeps her happy, how can she deny Arjun, she will not. Vandana sits on garden bench. Saanjh says let us go home. Vandana says which Arjun, her Arjun hates her, she hates Maya, but she had her Arjun’s child and she lost it. She continues pouring her heart out. Saanjh says love is not in our hand. Vandana says if she has done any good deed, she will bless her that Arjun loves her a lot as only she can handle Arjun. Saanjh feels someone is watching them hiding and says let us go home. Vandana reaches home and looks Sharma’s name plate. Saanjh asks her not to cry more, everything will be fine, go in and rest. She feels someone is watching hiding again. She asks Vandana to lock door properly. Vandana greets her good night and locks door. Saanjh leaves. Vandana hears door bell and opens door. She does not see anyone out and walks back in. Door bell rings again. She nervously asks who is it and opens door. She sees Ayan and Arjun’s photo on floor and tries to pick it. It flies and she walks behind it. She picks photo and feels someone walked into her home. She opens door and slips on marbles, thins how did they come. She turns and is shocked to see Maya. Precap: Maya yells at Vandana that her Bandar was a link between her and Arjun, but Vandana killed it, she has to repay for he sins now. She locks Vandana in a cupboard and sits on Vandana’s bed.